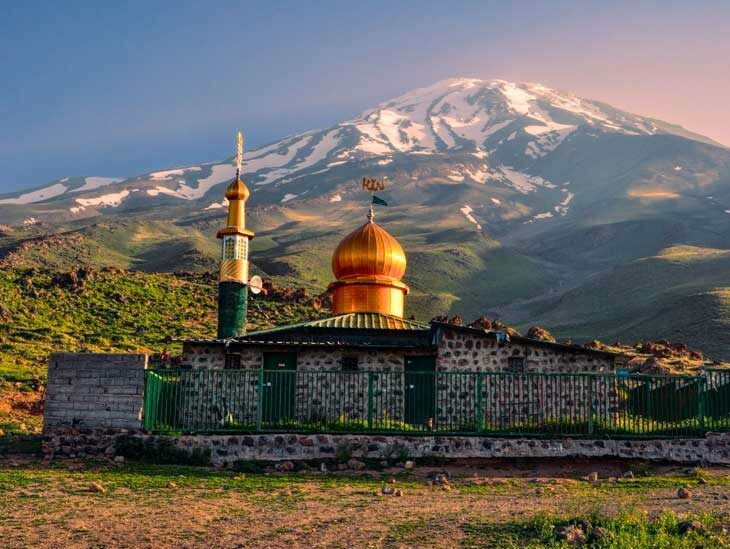 Iran is probably not the country that springs to mind as first destinations when planning a trip, but has been on my list to visit for a long time. I think the country is a treasure of culture, history and very different from what we are used to. 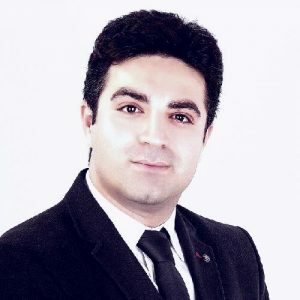 Unfortunately I have not been able to go to Iran yet, but I managed to secure an interview with Danial Karimi who works with incoming tourism in Teheran. What Are the Main Reasons for Going to Iran? 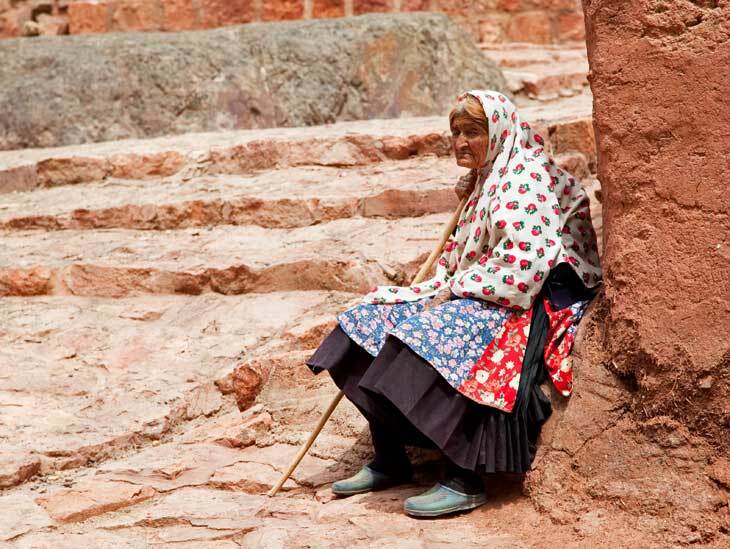 Elderly woman in Abyaneh, Iran. 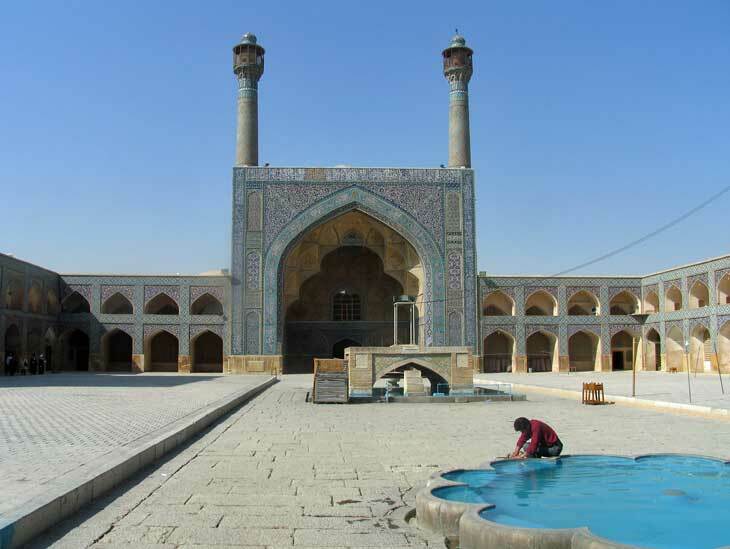 Jamé Mosque in Isfahan, Iran. Iran has been demonized for decades, but nearly all people who travel there come home with their stereotypes shattered, replaced by fond memories of gracious hosts and unforgettable landscapes. Will Female Visitors Have to Use a Hijab in Iran? The main worry for female travelers to Iran is regard to wearing hijab or Islamic outfits but let me explain the situation for you. In modern Iran the Islamic dress code for ladies is very different to other Arabic and Islamic countries. What to wear doesn’t have a certain criteria in fact, Iran current government introduced and suggested a pattern as the best wearing for ladies in public and it is chador (very large and wide cloth like climbers poncho in black) but people and travelers are not obligated to obey this suggestion except governmental staffs, there is a min. scale to be OK. In general women should not wear tight clothes like mini-skirts or extremely skinny jeans. You can absolutely wear both jeans and skirts as long as they are not too revealing. Things to Think About When Packing For Iran? When Is the Best or Worst Time to Visit Iran? Generally, the hottest month is July, the coldest months are December and January, and the wettest month is January. Tourists visit Iran during the summer months (June – September) for the sunshine and regional festivals, and during the winter months (November – March) for skiing. So no matter what time you choose to go, Iran is a great place to travel all year round. What Are the “Must See & Must Do´s” in Iran? • Begh-e Melli Complex in Tehran. • The National Garden gates built in 1906. 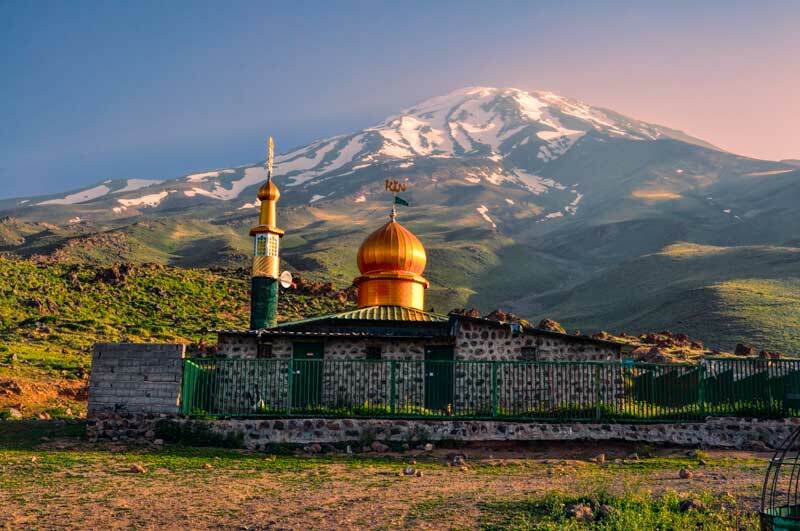 • Chak Chak Zoroastrian Shrine with an ever-dripping mountain spring. • Jameh Mosque in Isfahan built in 1611 – UNESCO Sites in Iran. • Holy Savior Cathedral in Isfahan from the Armenian Christians. 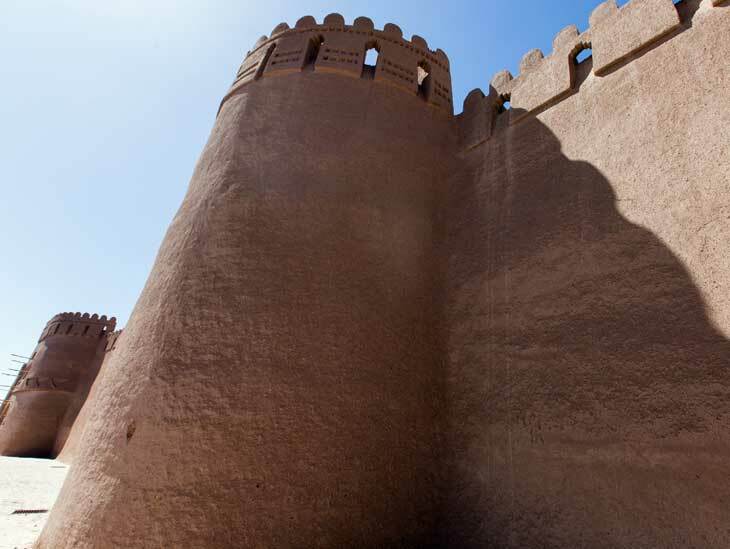 • 1,000 years old Arg Rayen Citadel in Rayen. • Golestan Palace in Tehran built in the 16th century. • Naqsh-e Khostam ancient necropolis from 1000 BC and etc. Can I Bring Alcohol to Iran? Don’t bring alcohol because it is against the law. Average rate of a 5-star hotel is 150 $ for a single and 250 $ for double. Other costs like transportation, food, tour guide etc can be less than 100 $ per day for group tours. Right now, the exchange rate is very favourable for the dollar (compared to Iranian currency) which makes it very affordable to visit Iran. What About Skiing and Snowboarding in Iran? 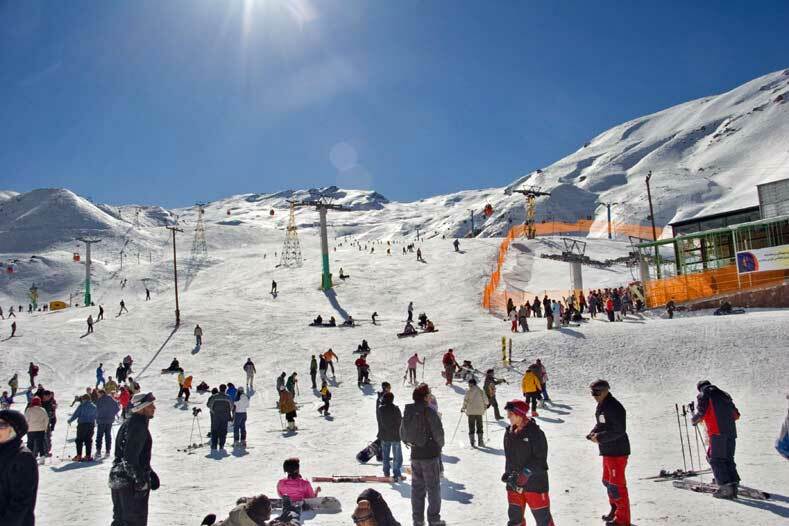 The huge Dizin ski resort which has been established since 1969 is located in the north of Tehran in the Alborz mountain range. The ski season in Dizin also lasts longer than European ski resorts (from mid-November to May) because of its high altitude. It is one of the 40 highest ski resorts in the world as the highest ski lift reaches 3,600 m (11,800 ft). It includes three tele-cabins, two ski lifts, seven dish tele-skis and one Hammer tele-ski. Dizin ski area in Iran. Danial Karimi from BEH Travel. This basic tourism information about Iran has fuelled my curiosity and moved Iran higher on the list of places to go! Thanks to Danial for giving a great overview of tourism and travel in Iran. Danial works for BEH Travel in Tehran. Do you have more information or personal experiences on travelling in Iran? I would love to hear from you via email, in the comments below, on Twitter, Facebook or Google+.